Dr. Bontia completed medical school at the University of the Philippines. She did her neurology residency at the North Shore-Long Island Jewish Hospital in Manhasset, NY, where she also served as Chief Resident. She then went on to the University of North Carolina at Chapel Hill completed a fellowship in neuromuscular medicine. Dr. Bontia has been practicing neurology since 2006, and she uses experience, skillful analysis, compassion, and advanced treatment techniques and technology when evaluating her patients. She takes times to listen and treats each patient as a partner in his or her own neurological care. 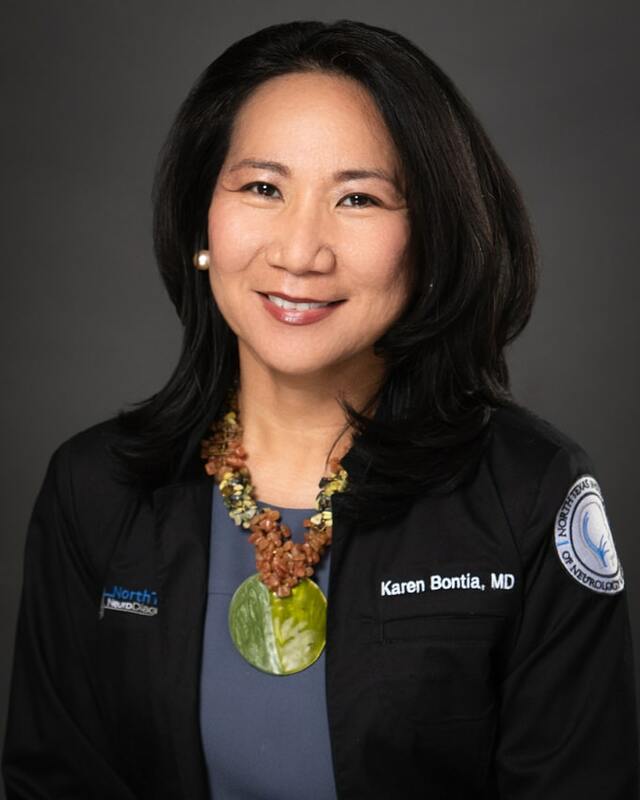 Each patient gets individualized treatment, and Dr. Bontia does not hesitate to use various treatment interventions (from medicines, injections, massage, acupuncture, physical therapy) to help her patients heal.